The plan – paint the bottom, pull the keel cooler for the main engine and the hydraulics. Get all of the thru-hull handles working. Pull the propeller and get it balanced, pull the main shaft and determine if it’s toast. 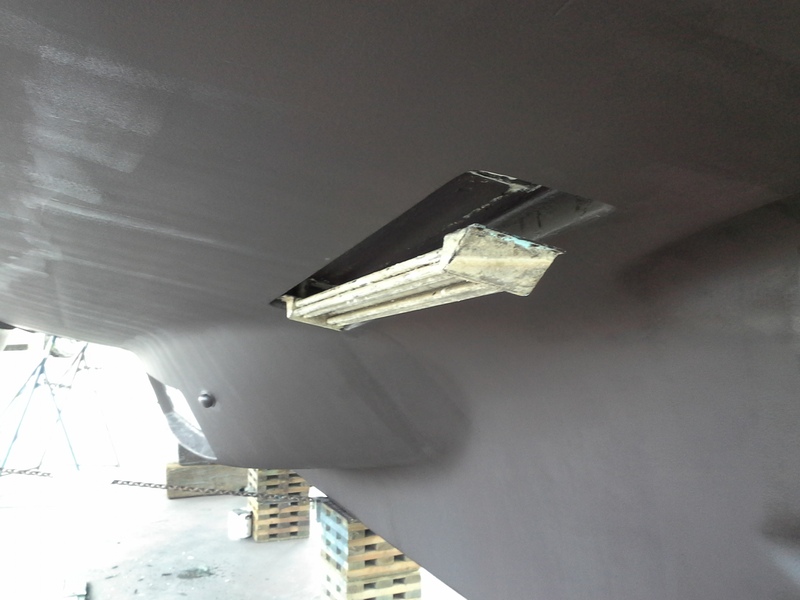 Figure out what’s wrong with the davit and get it working. Change every filter and fluid in the boat. Figure out why the black water tank refuses to pump out. Inventory every item on the boat, it’s full of spare parts and filters, diving equipment and more remotes for various electronic pieces than I’d ever seen before. And a long list of other items. 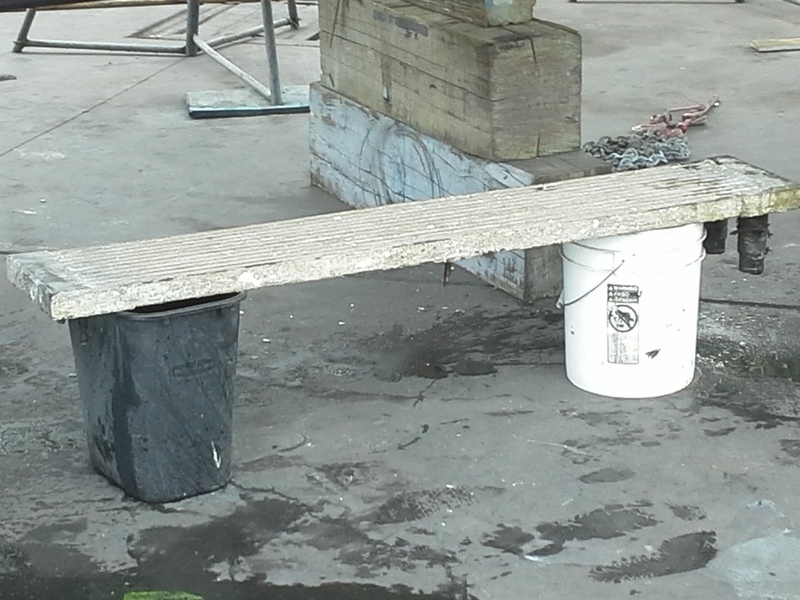 The plan was to have our project engineer oversee the work by the boat yard and handle most of the internal stuff himself. First order of business, get the boat hauled out, blocked and supported and tented. 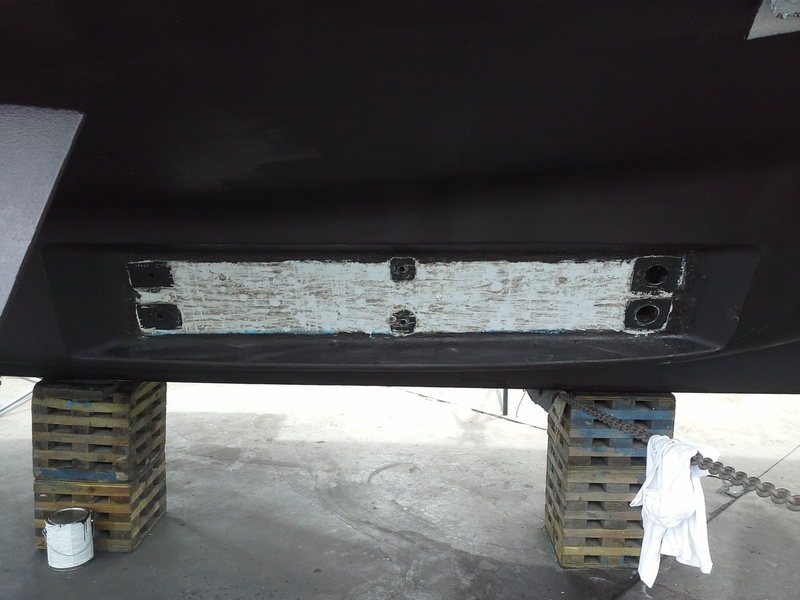 The engineer took one look at the bottom of the boat after the power washing was done and decided that the bottom needed to be scrapped to remove a bunch of loose paint. 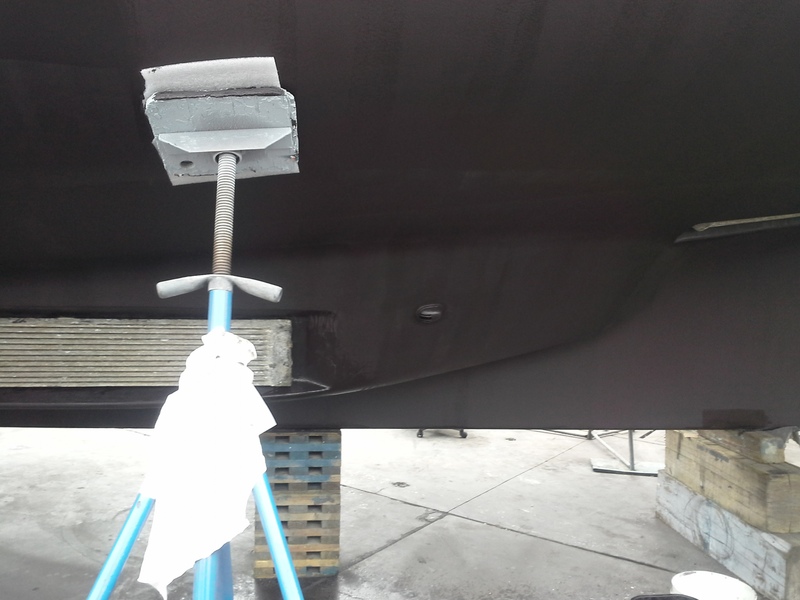 One scraped, the yard crew painted the bottom, and then began the process of removing the keel coolers, the prop and the shaft. The inside of the cooler showed some “stuff” the outside had a layer of marine growth, the combination led to some slight overheating at WOT so with LFB out of the water it made sense to have this work done. We also saw a small leak at the cooler for the hydraulic system so we pulled it to correct that problem.